A baccalaureate degree in nursing is associated with significantly lower deaths among hospital nursing staff. A significant body of research found that better-educated nurses on a healthcare team help to reduce unnecessary patient deaths. In light of the mounting evidence, the Institute of Medicine, the American Association of Colleges of Nursing (AACN) and other associations concerned with the profession of nursing all agree that the greater volume of registered nurses should hold a baccalaureate degree, at minimum, if the healthcare sector is to realize lower patient mortality and adverse outcomes. Nursing is a caring profession. Patients count on them to get through a most difficult time in their lives. 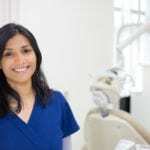 The level of trust patients and the public place in nurses is one reason the profession ranks number one for ethics and trustworthiness in a Gallup poll for several years running. Caring and compassion have their role, but knowledge and experience take precedence in the complex healthcare environment. More than relational, the industry demands professionals who have the learning and competency to confront challenges and make concrete contributions to the delivery of care that patients need now and in the future. The BSN degree prepares nurses to fill such a role. Students acquire the knowledge, skills, and competencies to meet the various and changing needs of patients. Nurses shoulder the greater part of the demands of patient care. As a consequence, they bear the brunt of the responsibility when care falls short of expectations and standards. Nurses who complete the BSN are generally thought to possess the commensurate with the increased responsibilities. Students learn health promotion and maintenance that make them beneficial in the delivery of community and primary health care. Additionally, instruction in management, prevention, leadership, and management places nurses in a position to better navigate the maze of issues in the health care delivery system and counsel patients on healthful living and disease prevention. BSN graduates have more employment options and opportunities for advancement than their ADN counterparts. Following is a list of the various types of BSN programs available in Indiana. LPN to BSN: The shift to better-educated nurses is commanding as much attention, if not more, than the nursing shortage. The patient care team as it relates direct care includes nursing assistants, at the lowest level, and registered nurses at the upper end. Though there’s an urgent need for more nurses, employers are limited by strict standards to hire the best – which means hiring those who have taken the time to achieve the BSN. Licensed practical nurses are being forced out of hospitals and into long-term care unless they enroll in and complete the BSN program. The LPN to BSN facilitates the easy transition from one point to another. 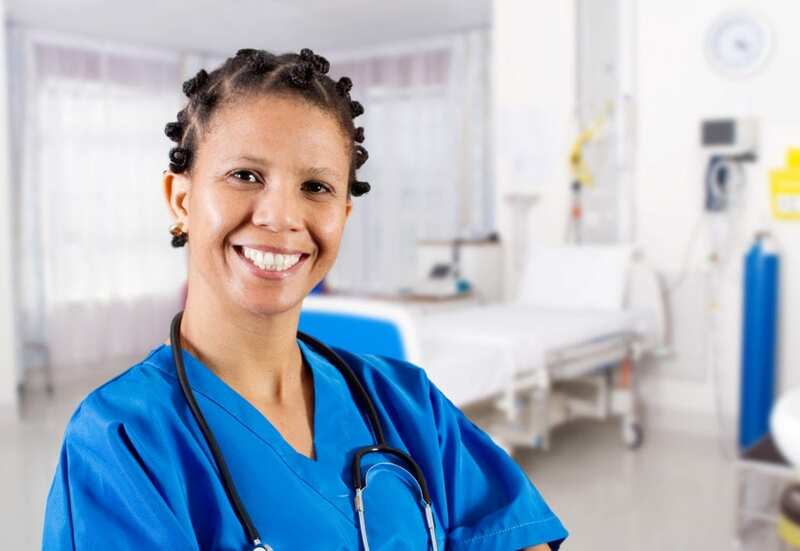 RN to BSN: RN-BSN programs are specially designed for registered nurses who plan to complete the BSN to improve their practice, employment options, salaries, and opportunities for advancement. Nurses who take this step may see it is an opportunity to stay ahead of the curve as the degree becomes mandatory in hospitals and other health care settings. By enrolling the program, nurses can complete the degree in just 12 to 18 months without interrupting their work/life schedules. Traditional BSN: As initiatives to increase the volume of nurses who hold the BSN degree takes effect, the enrollment in the traditional BSN is on a steady increase. Historically, the associate’s degree program has accounted for more than 65% of nurses preparing for the profession. It can be completed in less time than the BSN and the outcome – authorization to take the NCLEX to become a registered nurse – has been the same. Current hiring practices and the call for better-educated nurses have prompted more adults to choose the BSN in preparation for practice. Fast-track BSN: The accelerated BSN program is targeted to career changers who already have a baccalaureate degree in another field. The curriculum builds on the students’ previous education and experience to facilitate a faster entry into the nursing profession. The fast-paced, comprehensive curriculum requires a full-time commitment, which will enable students to complete it in 12 to 18 months. BSN graduates can apply for the licensure exam to practice as a registered nurse in Indiana. The BSN traditional track is open to adults pursuing a baccalaureate degree for the first time. The curriculum prepares students for a career as a professional nurse and includes theory, state-of-the-art simulation, and clinical opportunities. Graduates will demonstrate critical thinking as the basis for decision-making and clinical reasoning, cultural sensitivity in the provision of holistic, individual, family and population-centered care, understanding of the healthcare policy and finance as it relates to the delivery of care, ethics in practice, effective communication, competency in the provision of care, wiliness to collaborate with inter-professional team members, and accountability as a leader. The four-year program of study will include three years of clinical nursing courses, including opportunities to practice in the real world in a variety of healthcare settings. Practical learning opportunities in a simulation lab will provide a safe environment for honing clinical and decision-making skills. At the conclusion of the program, graduates must apply for and pass the licensure exam to practice as a registered nurse. Nurses work in a variety of settings, including medical centers, hospice care, long-term care, community hospitals, schools, home health agencies. Applicants to the program must have completed high school biology, chemistry, math, and English. Attendance of an orientation session or a meeting with a counselor to map out freshman year courses. Official transcripts of completed prerequisite courses. Official transcripts of high school and college-level courses. A passing score on the admission’s test. Participation in the clinical aspect of the program will require students to complete a criminal background check and drug screen, provide proof of immunization, complete a physical exam to demonstrate good physical and mental health, and submit the results of a TB test. Malpractice insurance and CPR for Healthcare Providers may be some other practice requirements. Adults who successfully completed a baccalaureate degree can enroll it the second-degree BSN to prepare for a career change. The fast-paced program requires completion of at least 65 credits of nursing courses including multiple clinical experiences in a variety of health care settings. The curriculum will cover core nursing courses and their clinical counterpart, including medical-surgical nursing, pharmacology, maternal newborn nursing, health assessment, pathophysiology, geriatric nursing, pediatric nursing, community health, research in nursing, and the legal aspects of nursing. Students bear the responsibility for making up any deficiencies in their general education and science requirements. Examples include medical terminology, chemistry, microbiology, psychiatry, physiology, anatomy, and biology. This will extend the time it takes to earn the degree. Participation in the clinical practice will require criminal background clearance, health clearance, a negative TB test, current CPR care, and liability insurance. Full-time clinical rotations will make it almost impossible to work full-time or part-time for most students. The cost of tuition for completing a four-year nursing program at Indiana’s public universities is approximately $270 per credit. Flat rate tuition of $4,070 per semester for 12 to 18 credits is also available for full-time residents. There are several available sources of funding the cost of nursing school. These options include scholarships, grants for nursing students, and financial aid. A financial aid counselor at the university will cover all your available options. Following is a list of Board-approved BSN programs in Indiana with the NCLEX-RN pass rates.